Already own a home in the Flying Creek subdivision? Thinking of selling? Click here and read about current search trends & our web network. Flying Creek homes for sale in Fairhope, AL are all listed on this page and along with the current listings, is an interactive Google map, pictures, property details and other useful info for the homes in the Flying Creek subdivision in Fairhope. 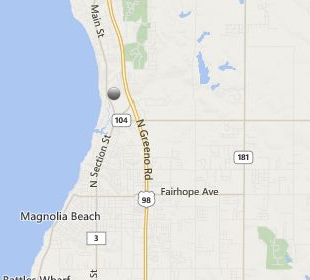 The homes are located just South of the Rock Creek golf course off of highway 98 in central Fairhope. Flying Creek is close to Mobile Bay, 5 minutes from the downtown business district and approximately 40 minutes from the beautiful beaches of the Alabama Gulf Coast in Gulf Shores and Orange Beach, AL. Fairhope is consistently voted one of the best small towns in America and is full of unique boutiques, great restaurants, entertainment venues, gorgeous landscape and a strong school system throughout the entire county. The closest airport is in West Mobile, AL and depending on traffic, takes under an hour from the Flying Creek community in Fairhope. If you need further info, have questions or would like to schedule a viewing for any of the homes for sale in Flying Creek or any other properties in the area, please email info@condoinvestment.com or call (251) Area-Pro (251-273-2776) for immediate assistance.